So Guys here is another news from paytm recently paytm added food delivery option in PayTM app. Now PayTM is launching “PayTM First” Which is a loyalty program that covers Paid membership of various Apps like Eros Now, Zomato, Uber Eats, Viu Premium, Gaana Premium membership. After Amazon Prime and Flipkart Plus, Paytm has launched its own subscription-based rewards and loyalty program, ‘Paytm First’. 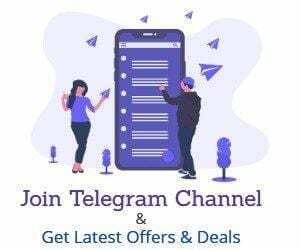 This will offer a subscription to on-demand entertainment, live cricket, TV, music, shopping, movies, food and more, in addition to Paytm cashback offers. If You are a beta app tester of Paytm, you can see this option in your app, others may have to wait. Paytm is decided the price of this membership Rs.750 which will come with Rs.100 introductory cashback. You can avail Paytm First By Downloading Latest Version of the PayTM app & Visiting PayTM First section. It might be in testing phase for now & soon it will be Available for all of the users. Get a Free Complimentary Wynk Premium Music worth Rs.99. You will get a Coupon code, that you have to apply in Wynk Music App. You can get Only 1 Coupon. The Activation code should be applied on Zomato App before it’s an expiry date If you are already a Zomato Gold member contact customer care to extend the validity. With PayTM First Membership You can get Rs.100 off on Rs.250 twice a month for next 12 month which means a benefit of Rs.2400 on Your Uber eats Orders. With payTM First You can get Premium membership of Sony LIV app free for a Year. You will get a Coupon code. That you need to apply on Sony LIV App. Additionally, “Paytm First” customers will also get over Rs. 1500 cashback including Rs 100 cash back on movie ticket booking each month. There would also be exclusive offers for shopping on Paytm Mall with unlimited free and priority shipping, in addition, to access to priority 24×7 customer care as well. Previously Tapzo App introduced this Combined app model but it was failed to capture market share & eventually sold to Amazon. Now Amazon Shut that down just to increase Amazon Pay Customers. It is currently available in beta on Android (join our beta program from Play Store to become Paytm Beta user). It will be released to the public by midnight 5th March. It should be available on iOS by 6th March. So we will be Updating this Thread on the 6th March when it’s available for all the users. till then Comment your Ideas on this Business plan of PayTM. 2. Now Login to Your Account & proceed to the homepage. 3. You can see PayTM First option in Menu as well as in homepage items. 4. Now at the Bottom Page, You Will see an Option to Purchase PayTM First Membership for Just Rs.750 & Extra Rs.100 Cashback as introduction offer. Now the question arises that should you buy Paytm first. The answer is depend on you as you can see paytm first includes prime membership of 8 apps so if you are using Premium membership for these 8 apps then it’s a definitely good offer but if you don’t use them I will not recommend you to buy Paytm First Why? so here is the answer. There is already Premium trick Available for Eros Now & Viu and You don’t need Sony LIV App premium as there is no good content. Zomato Gold is useful if you go to a restaurant & Order food. Uberetas Promo code is applicable on Minimum Shopping of Rs.250 whereas Swiggy is already offering 50% off using Coupon SWIGGYIT. You Can Get Free Music on Saavn App (If you are a Jio Customers) or on Amazon Prime Music (If You are Prime Customer) So if you see all the available benefits already available for free so i don’t think You should buy it UNLESS PAYTM WILL OFFER EXCLUSIVE CASHBACK OFFERS. So Guys Please Comment below What do You Think about PayTM first membership.It will help other users to buy it or not. 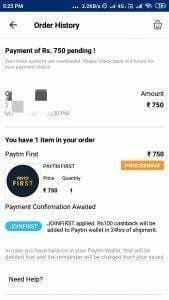 Paytm first is useless there is delivery charges for all the products which are generally below 400. If paytm first user than also you have to pay delivery charge. I have searched many products but all have delivery charges fir paytm first customer. It is better to amazon prime than paytm first. It is giving subscription of those which are available mostly at free.